Something ancient is stirring on the island...and it's out for blood. Good and bad live side by side on this mystical island. But the peace is threatened when the powerful Elder wages a battle to return the island to his kind. Faced with the loss of their home, an angel, vampire, demon, and merperson must set aside ancient rivalries and fight the evil that threatens their very existence. When Angelica gains a new partner--her pegasus, Swift--she learns that the angels have been keeping a secret. Grant must learn to protect his family when the blood well runs dry and to rekindle his vampiric instincts, suppressed for years. When Monica escapes her family's cave, she's tested and prevails in a way that only demons can--with fire and an iron will. Adam, cursed and separated from other merpeople for years, must transform his curse into a gift and find his bravery. 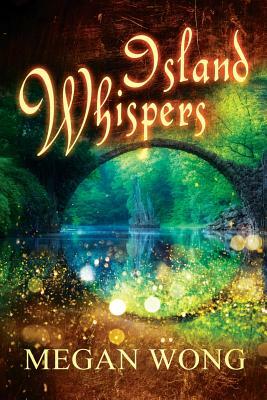 The magic of the island pits friends against friends and makes lovers out of enemies in this mystical tale of family, friendship, and love. In the center of it all, an ancient tablet holds the key to peace--or war--among the island's strange inhabitants.